Lhamo, a villager from the Gampa county, Xigaze prefecture, receives treatment in a rural hospital, photo from Tibet Daily on April 24. 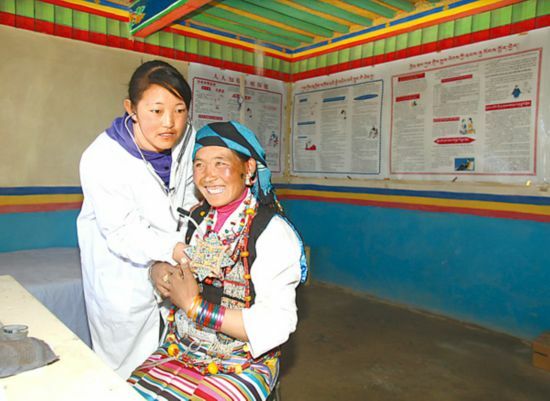 With the implementation of the cooperative medical system in Tibet's rural areas which started in 2007, the local rural people enjoy better medical treatment as they receive more subsidies. 5Frozen earth on Qinghai-Tibet Plateau thickened by 20 cm.